Growing up, we did not eat spicy. We did not eat hot. The hottest sauce you will find under my mother’s roof is Mild Taco sauce. My husband and I, on the other hand, love hot and spicy. When Cap heard the Sriracha sauce plant was closing down, he immediately went and bought a couple big bottles. It was a necessity for him; it was inspiration for me! I knew I was making us homemade breaded chicken strips on Sunday for dinner, but I hadn’t decided how I was going to make them until I remember the bottles of Sriracha sauce. Ta-Da! 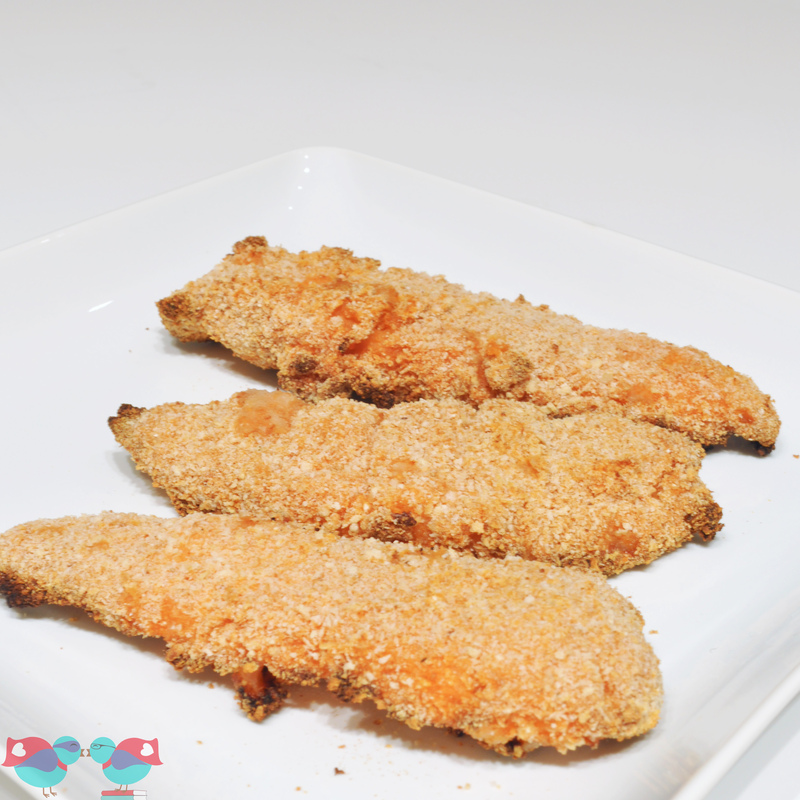 Sriracha chicken strips! Now, these aren’t incredibly hot. I don’t want you to be afraid to try these just because I used Sriracha sauce. They did not set my mouth on fire or have me running for a glass of milk. They had just the right amount of kick for me. Cap described it as a subtle dry heat. I’m pretty sure he would have been happy if I used no honey, which does sweeten the flavor a little bit. Both of us agree though that the Sriracha chicken strips were down right delicious! For dipping, we decided to use ranch dressing. Mix together honey and Sriracha sauce into a large ziploc bag. Prepare/clean chicken and put into ziploc bag. Seal the bag and mix up the chicken to make sure all is covered by the sauce. While the chicken is marinating, prepare the pan for baking. Put a piece of aluminum foil onto the base of a cooking pan with sides. Then, place a wired rack inside. By cooking the chicken on the wired rack, you will keep them from getting soggy. When ready, put bread crumbs into a bowl or onto a plate and take chicken strips out of the bag one at a time to coat in the bread crumbs. You might need to press down on the chicken into order to get them as coated as possible. When done with each strip, place directly onto the wired rack. 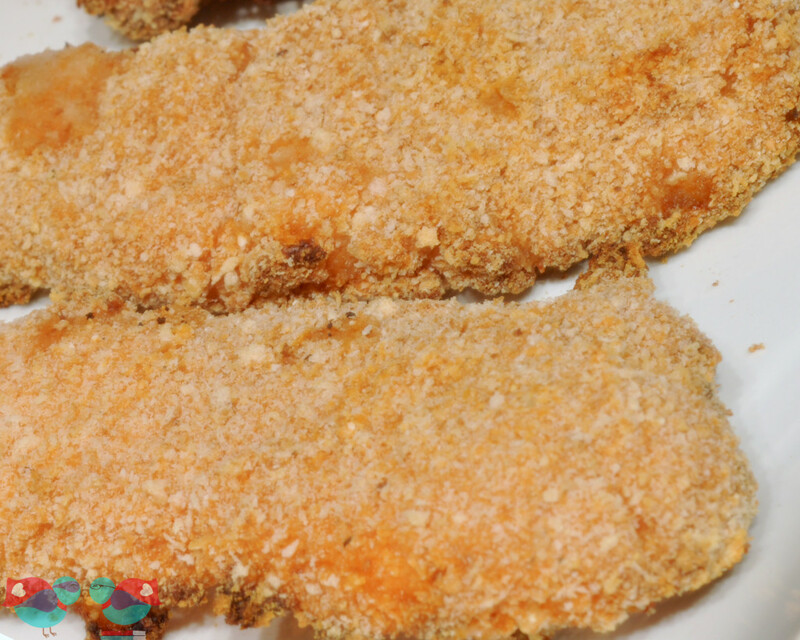 Bake the strips at 400 degrees for 20 minutes or until the chicken is no longer pink. If you have thicken strips, you might need to cook longer. 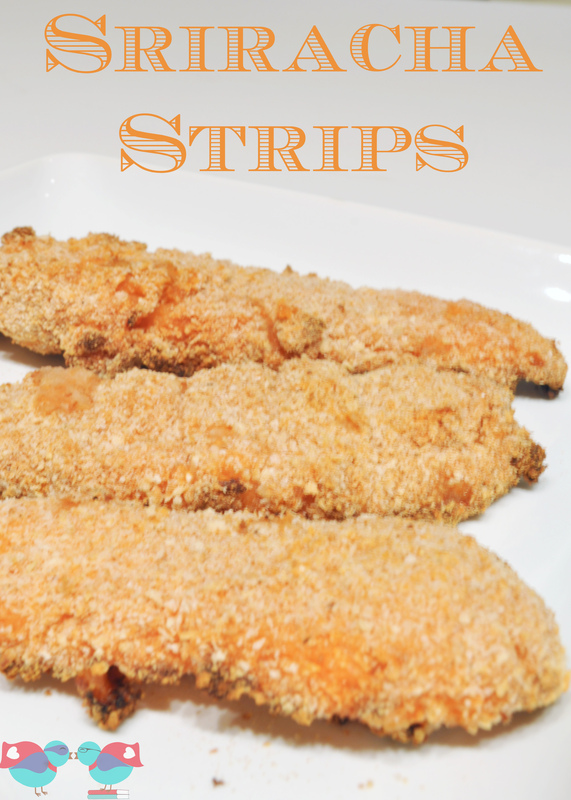 NOTE: If you want your strips crispier, follow up the baking by cooking under the broiler for only a couple minutes. Do you like spicy/hot food? If so, what is your favorite recipe? Sriracha is the best! I am so happy I found this recipe, I can’t wait to try it. My husband and I love sriracha on just about everything. Of course, the kids are not into it as much, but I can easily make some plain strips for them! Great idea, thanks for sharing! I will definitely be trying these. I LOVE sriracha and what an easy recipe! I love how easy it was too! I found that baking them on the rack really helped make them crispy too! I have never tried Sriracha but my college daughter says she loves it! I’ll have to make these for her so that I can try it too! I had never tried Sriracha until my husband kept raving about it! He stocked up on a few bottles when he heard production would be closing down for awhile. I love Sriracha anything, truly! And I also love me some chicken tenders. Stopping by from DBB and I’ll definitely be pinning these because I plan on making them very, very soon. Thanks! I hope you enjoy them!! They were definitely great for a quick dinner during the week.